There is a full maintenance log on board which shows every service, repair, replacement. all of which is supported by invoices for parts and labour. 24 volt, 8 batteries charged by: engine, shore power, generator Onan Gen Set 8kw (2010), 8x Sonnenschein 200 Ah batteries, 1x Mastervolts battery charger 100 Ah (2010), 1x Mastervolts battery charger 70 Ah, 1x Mastervolts Inverter 24/220v 700 watts, All internal lights and Navigation lights are LED, Furuno 12/24v converter for Navigation Instruments. 2x further forward cabins (port and starboard) each with 2x single berths and head. Cockpit: 2x 65 electric for genoa, 2x 65, 3 speed for Staysail, 2x 44, 2 speed for runner, 1x 44 selftailing for main sheet, 1x 42, 2 speed for mizzen sheet, 1x 42, 2 speed for mizzen outhaul. Main mast step: 1x 48, 2 speed selftailing for main sail outhaul, 2x 44, 2 speed for spinnaker pole downhaul. Mizzen mast: 1x 28, 2 speed selftailing for mizzen halyard, 1x 28, 2 speed for halyard. We are pleased to offer for sale this stunning Swan 65, built in 1973 and under the same ownership for the last 39 years. This yacht has been maintained to the very highest of standards by her owner. On board there is a full maintenance log detailing every maintenance procedure carried out to the boat, substantiated with a full catalogue of invoices. She has had many upgrades to systems and services over the years, including a new engine in 2009 which has ran for approx 1700 hours. She is ready for another round the world voyage. She has a full time skipper plus one crew who are also available should the next owner require their services. Offers are invited from serious buyers. 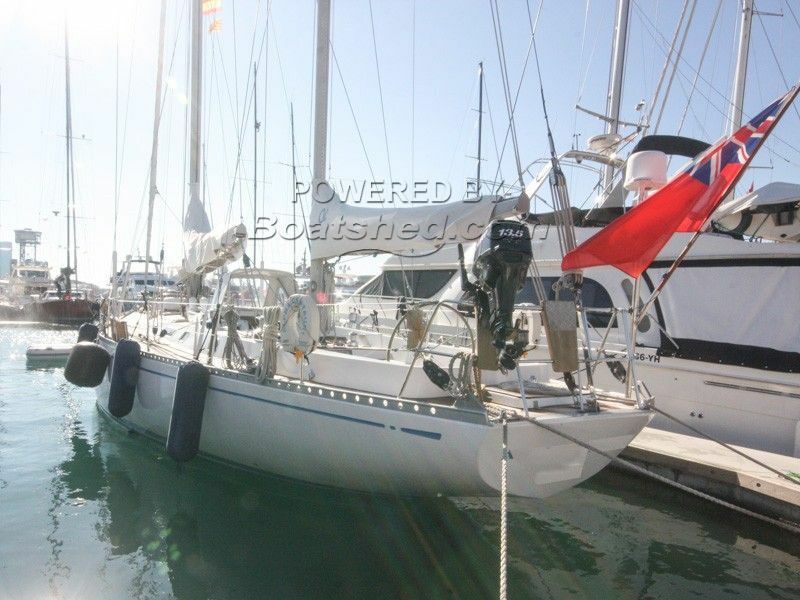 This Swan 65 Ketch has been personally photographed and viewed by Paul & Steve of Boatshed Barcelona. Click here for contact details.